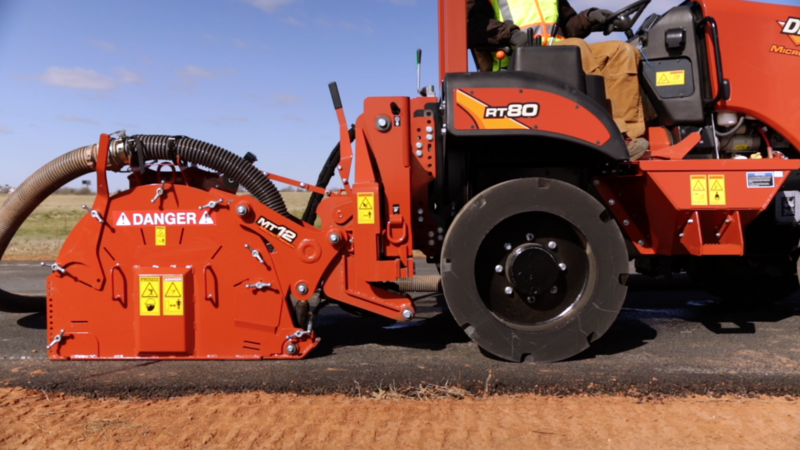 The Ditch Witch MT12 microtrencher offers utility contractors a cost-effective solution for installing fiber-optic cable along paved rights-of-way, helping utility contractors reduce jobsite cost-per-foot when compared to traditional installation methods. 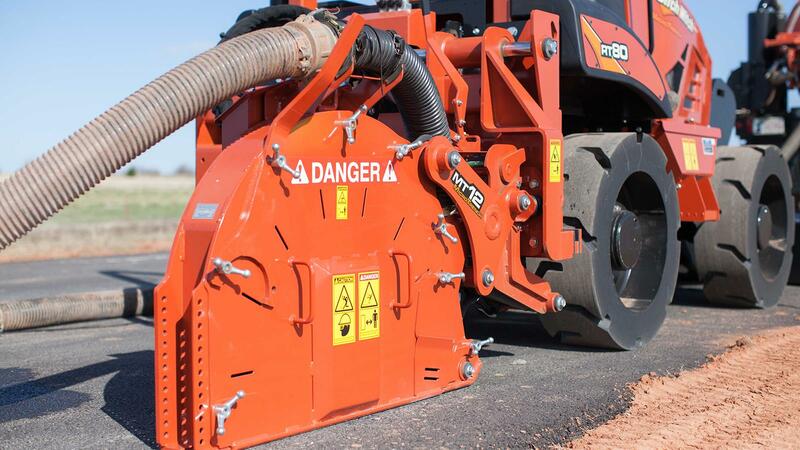 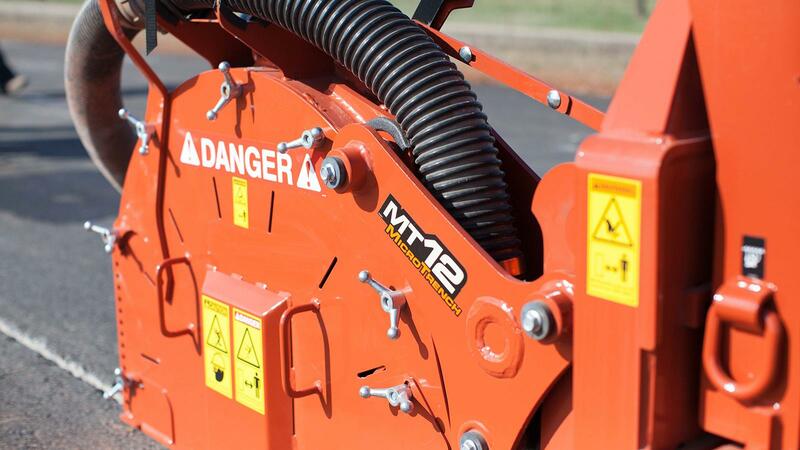 With its unique saw blades, the MT12 cleanly slices through asphalt or concrete to create the ideal trench in one quick, efficient pass. 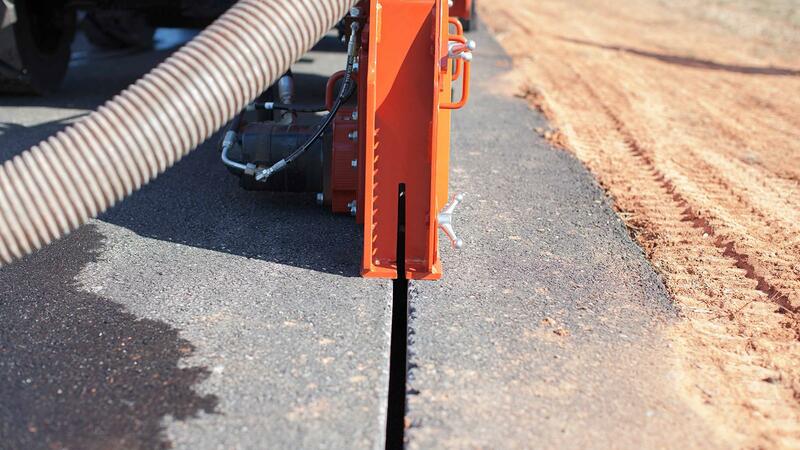 And, its rugged design helps operators maintain consistent trenches and enables easy and effective cuts around street corners. 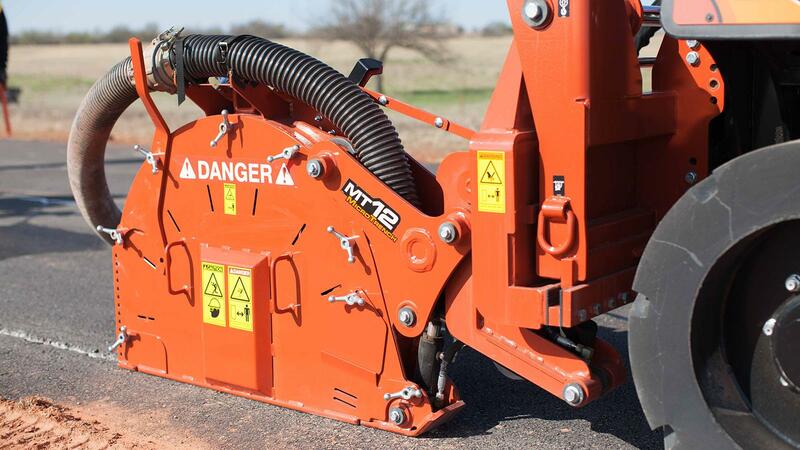 The MT12 is part of a complete microtrenching system, which includes choice of RT45, RT55 or RT80 ride-on trenchers and an FX65 vacuum excavator to handle dry, dusty spoils. 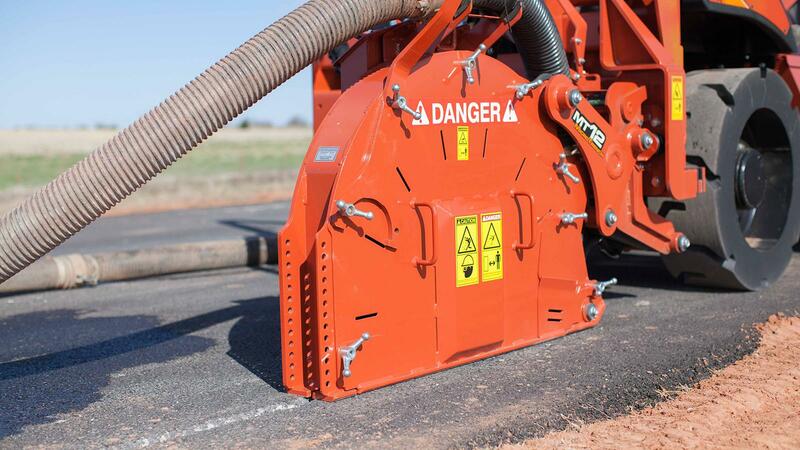 All components of the system are designed and manufactured by the Ditch Witch organization to work together with unbeatable efficiency. 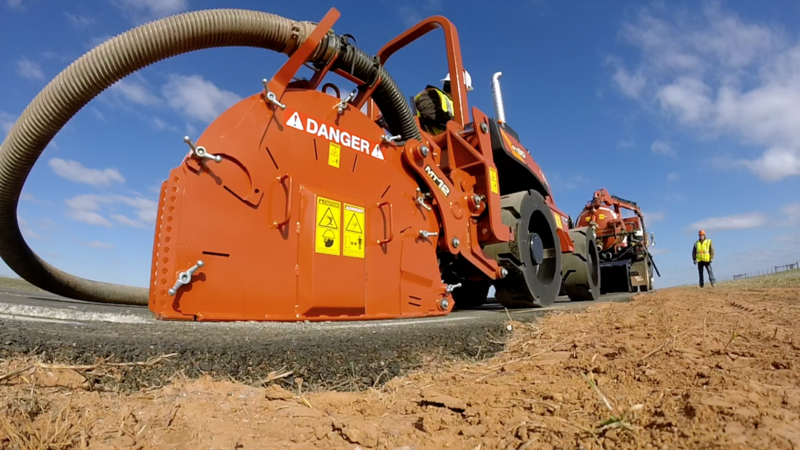 The Ditch Witch FX65 vacuum excavator equipped with a cyclonic separator to handle the dry, dusty spoils produced by microtrenching can be positioned either in front of the trencher or to the rear depending on jobsite needs. 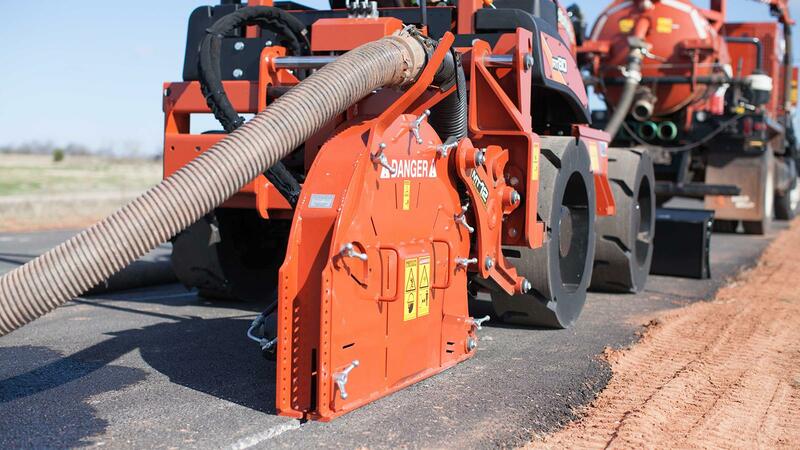 Part of a complete Ditch Witch microtrenching system that includes a specially configured Ditch Witch RT45 or RT55 trencher and an FX65 vacuum excavator equipped with a cyclonic separator to handle the dry, dusty spoils produced by microtrenching. 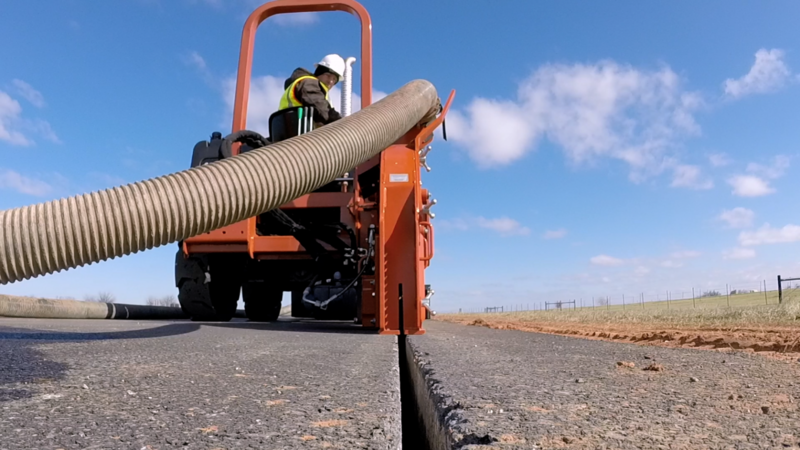 The FX65 vacuum excavator, which can be positioned either in front of the trencher or to the rear, removes spoils as they are created by the saw blade, reducing cleanup time and labor expense.